Many bakeries already offer freshly baked bread rolls at 6 o’clock in the morning. Frequently, ingredients have to be delivered during the night to achieve that. 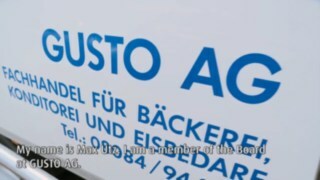 That’s the responsibility of wholesalers like Gusto AG in Hohenpolding near Munich. 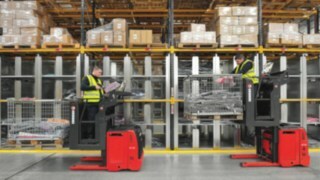 Recently, Linde order pickers with lithium-ion batteries were deployed at the firm to perform the logistics work involved. This technology offers many advantages compared to conventional lead-acid batteries. Time for an interim assessment. 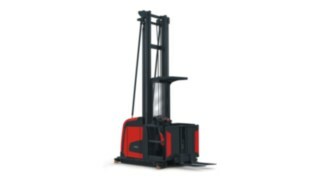 Two-shift operation requires the full deployment of human resources and machines. 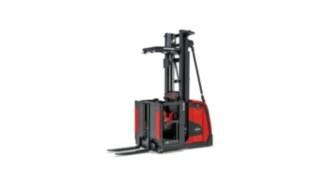 For many years now, Linde industrial trucks have been used here in the high-bay warehouse and the cold storage facility: two reach trucks, seven order pickers and numerous low-platform trucks. Especially at peak times – for ice-cream products that is generally during the summer months – bottlenecks regularly occurred during shift changes. 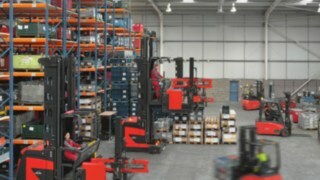 Intensive loading work during the day meant that the order pickers’ lead-acid batteries were run down by the evening. 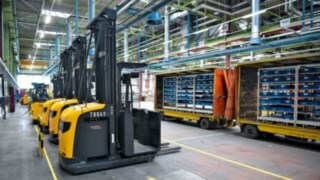 Because there was not enough time for a complete battery recharge, which takes roughly eight hours, warehouse employees were often forced to undertake short charging periods during breaks or just before shift changes. This subjects conventional lead-acid batteries to dangerous stress that leads to their early deterioration. 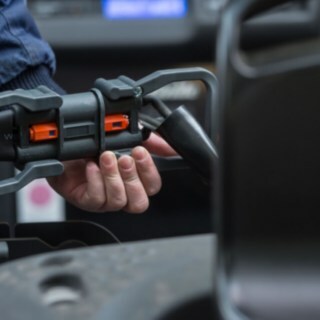 While lithium-ion batteries have been used for decades in small electronic devices, the technology has only been available for heavy equipment like industrial trucks for a few years. 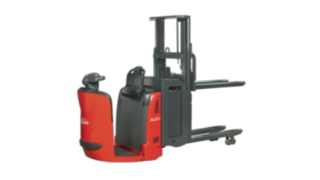 The batteries used by Linde contain lithium iron phosphate and a very small proportion of nickel-cadmium to increase performance. 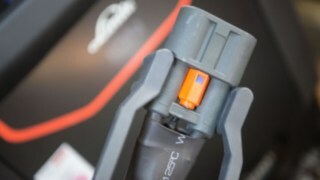 These batteries have twice the energy density, which means they produce more power although they are the same size, and also last twice as long as conventional batteries. 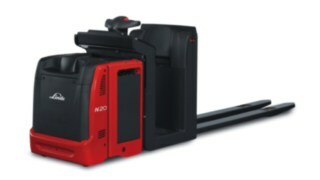 In addition, they offer fast recharging and maintenance-free operation. 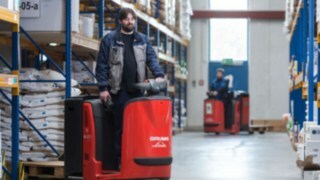 These advantages play an important role in safe and efficient operation at Gusto AG – as well as generally in any multiple shift logistics operation. 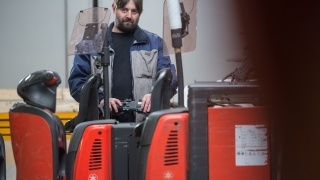 “Roughly one to two hours is all it takes to recharge the batteries,” says Christian Barkschat, Fleet Manager at Gusto AG. “Furthermore, we can now also connect the order pickers to the electricity supply during the lunch break with a clear conscience. In the past, capacity used to decline pretty fast as a result of interim top-up charging. 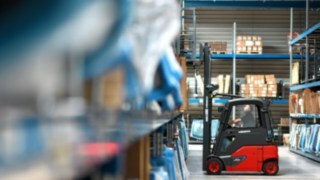 If the machines were then used in the cold store, they soon went over the hill.” The new batteries can now go through roughly 2,500 charging cycles without a problem. 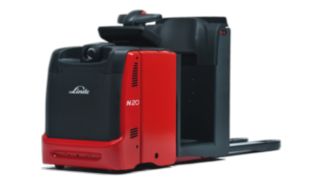 “What I particularly appreciate is the fact that employees no longer have to play around with distilled water for the lithium-ion equipment, which is the case when it comes to charging lead-acid batteries. In the past, refilling was often forgotten, which in the worst case destroyed the batteries,” adds Barkschat. In fact, lithium-ion batteries offer even more advantages. For example, remaining discharge to two percent is possible, compared to the recommended limit of twenty percent in the case of conventional batteries. 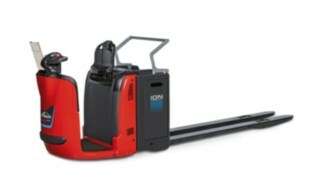 Therefore, if necessary, it is possible to use the equipment considerably longer to find the ideal charging time within the operations schedule. 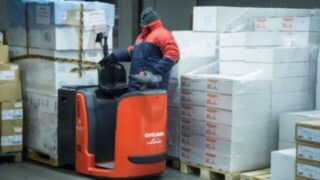 In addition, ambient temperature has no significant influence on battery capacity – an ideal precondition for use in cold stores.